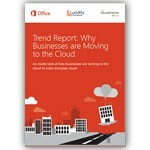 Our white papers and eBooks cover a variety of informative topics such as cloud best practices and industry trends. In this eBook from Microsoft, you can learn how to protect your business from cyberattacks. 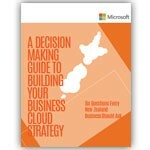 In this eBook, six questions are covered that every New Zealand business should ask before transitioning to the Cloud. 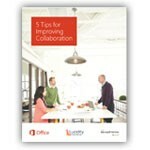 This paper offers five tips on improving workplace collaboration. 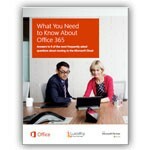 This paper answers the most common questions that business leaders ask about migration to Office 365 and how its tools can help grow their businesses. This e-book offers a high level overview of current cloud and technology usage in growing businesses, including what workloads are shifting first, what’s driving these efforts and how experience is lining up with these expectations.